Is our galaxy's black hole snacking on asteroids? An image from NASA's Chandra X-ray Observatory provides an X-ray view of our galaxy's center, with a supermassive black hole in the spotlight. 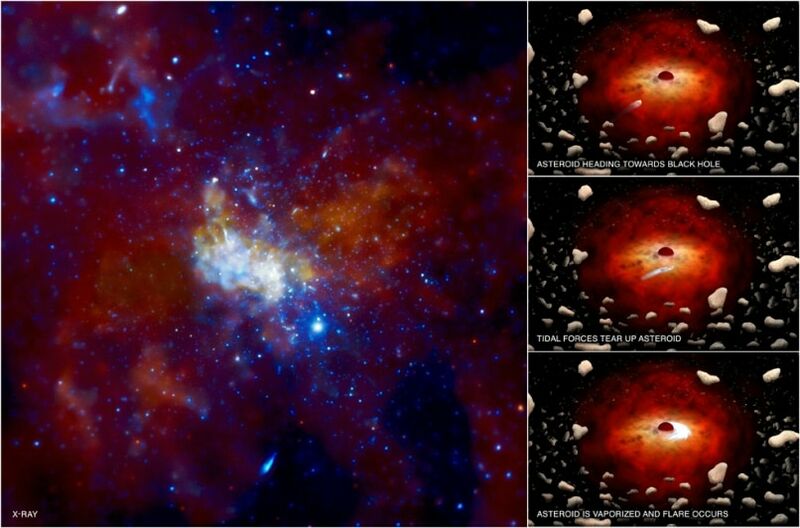 The images at right suggest how asteroids and comets feed the black hole.